The 60-foot New Flyer Xcelsior CHARGE™ buses feature long-range, heavy-duty lithium-ion batteries. 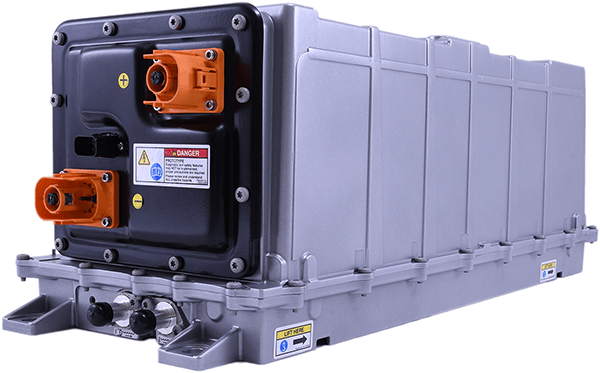 The batteries are designed specifically for rigorous 24/7/365 transit demands of New York City, utilizing American-based battery technology and American-based manufacturing supplied by XALT Energy. New Flyer’s Xcelsior CHARGE™ electric bus provides zero emission transportation for your citizens. By helping reduce pollution in urban environments, this transportation breakthrough enables cities a healthier environment for its citizens and future generations. The XMP cores are designed to accommodate XALT’s family of 225mm cells, anticipating a wide variety of application voltages, powers, and energies. The XMP can be used individually or can be strung together in a parallel series to create large high energy and higher voltage systems.